This chick cray! Love & Hip Hop Hollywood's Teairra Marie was arrested after punching her Uber driving and stealing his iPhone charger. The wannabe singer and industry bop called an Uber after eating lunch at Crustacean restaurant in Beverly Hills. When she got in the ride, she asked the driver if she could use his iPhone charger. When he refused, this crazy broad began punching him! The driver pulled over and understandably told her to GTFO! Teairra refused to get out until the cops were called. Once they retrieved the driver's charger from her purse, he decided to make a citizen's arrest for battery and theft. These LHHH women love to put hands on people, don't they? Princess Love was forever popping Ray J upside his head, Nikki Madduris was just kicked out of Mally Mall's house for smashing $30K worth of his dishes (pretty sure she's been physical with him in the past), and now Teairra is out in these L.A. streets acting a fool. Smh. 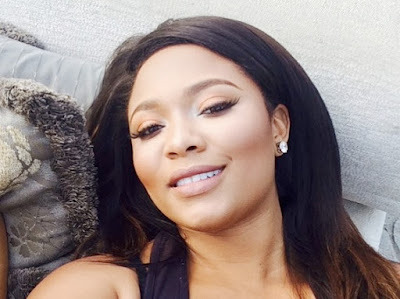 What do you think about Teairra getting arrested for attacking her Uber driver?